Excellerate Holdings is no ordinary holding company. We invest in, support and grow our business units to create long-term value for our employees, our shareholders, our customers and our partners. Our strategy is to aggressively grow our core businesses in our two key areas of operation - the supply chain and property service sectors. In the supply chain environment our highly successful distribution and warehousing business, Vital Distribution Services, controls many well-known brands and supplies South Africa's leading retailers, such as Pick 'n Pay, Massmart, Spar, Mr Price, @Home and the JD group. VDS’ vision is to offer a focused and encompassing distribution and warehousing solution to help South African based companies to be more competitive and successful. Vital aims to be one of the top five distribution and warehousing companies in South Africa. Our temporary staffing operation, Staffing Logistics, currently places over 2500 staff members on a daily basis – allowing clients to get on with their core business operations, while they take care of their human resource logistics. Staffing Logistics is comprised of professional individuals who have solid experience and exposure within the Temporary Employment Services (T.E.S.) and placement industry, coupled with a wide range of experience in other business areas such as business management, operations, finance, human resource management and risk management. Our property services business, Cushman & Wakefield Excellerate, is Africa’s leading trusted provider of fully integrated, self-performing property solutions that deliver quality, cost-effective results. Cushman & Wakefield Excellerate unlocks opportunities by leveraging its extensive knowledge, experience and technical capabilities. Our group offers property and asset management, facilities and utilities management, corporate real estate services and a comprehensive soft services self-delivery platform under Excellerate Services. Vital Distribution Solutions is a Secondary Distribution, Transport and Warehousing organization operating in the transport sector in Sub-Saharan Africa. 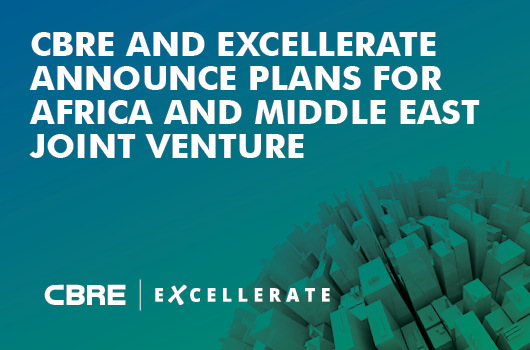 Cushman & Wakefield Excellerate is Africa’s leading trusted provider of fully integrated, self-performing property solutions that deliver quality, cost-effective results. Excellerate Services provides professional and cost-effective soft services solutions to clients, enabling them to focus on their core business.